Ever feel like your workout wasn't worth the laundry it created? I'm having one of those kind of days. 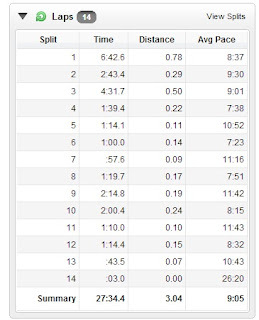 Bolstered by the success of yesterday's long run, I came home tonight hellbent on some speedwork. 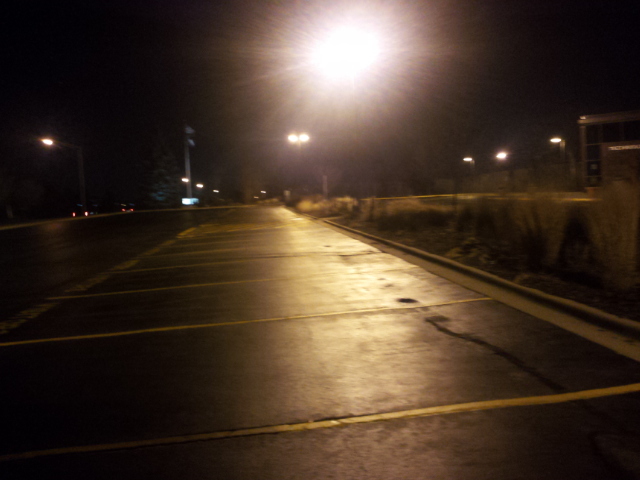 Nevermind that it was freezing and dark outside. I have my own little secret stash of well-lit parking lots in the area that have plowed and salted streets and minimal traffic, but enough to pass my "scream test:" would someone notice me if I started screaming for help? Right off the bat, I realized I was overdressed. I was sweating way too soon, even though I couldn't feel my toes. But I soldiered on. I did a half of the loop fast and recovered for a half loop, then tried to decrease my rest intervals as much as possible. It turned out that I couldn't maintain a fast (for me, at least) pace, so I did what I could today and called it quits 27 minutes later. The worst part about being overdressed? All that damn laundry was for nothing. 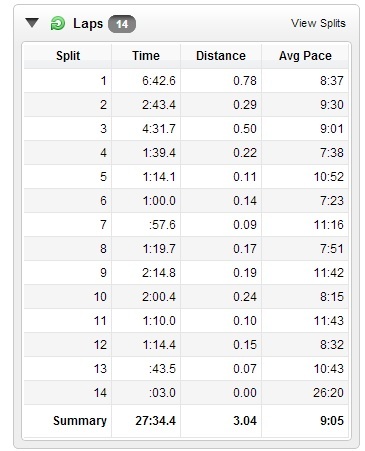 I did manage an 8:54 pace, so I'll take it. Also, you know you're a blogger when you install a full-length mirror just to take photos of yourself. 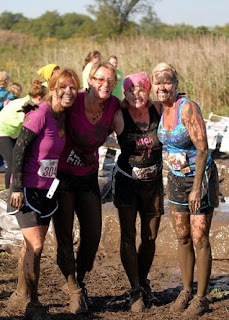 Moving on, I got great news today: I'm going to be an ambassador for Chicago's Pretty Muddy Run! It's a ladies-only mud run/5K obstacle course and I'm so excited about it. The race is Sept. 7 and if you use promotional code GIRLTIME, you can save $20 off of registration through the end of this month. And because people have asked, here is another day of my Weight Watchers meals. I had oatmeal for breakfast with almonds, strawberries and blueberries (six points). Lunch was turkey Polish sausage, quinoa, veggies and sugar-free chocolate pudding (five points). 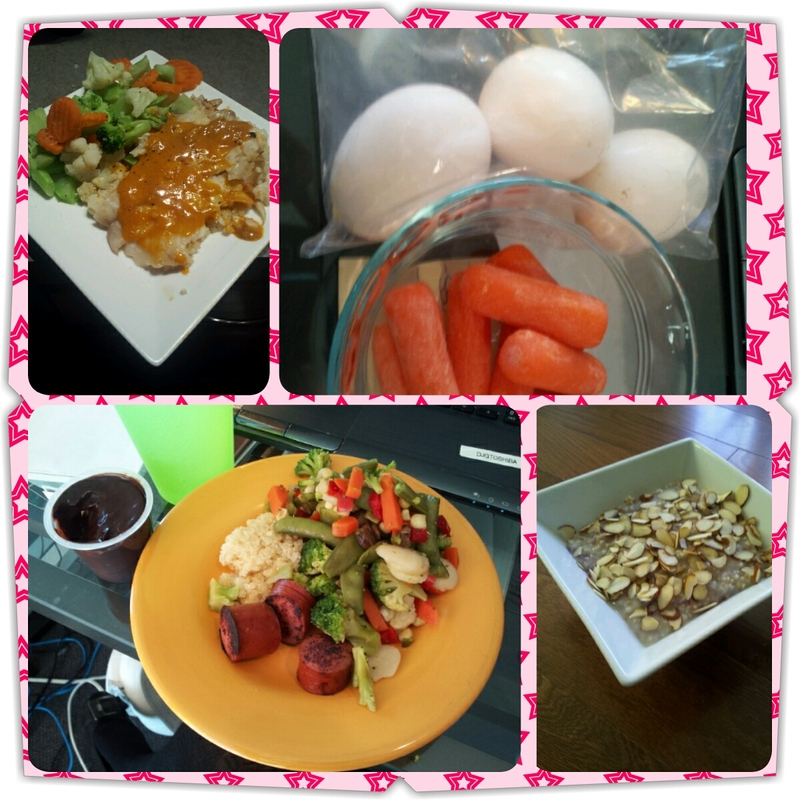 I had a snack of boiled egg whites (one of my favorite foods) with baby carrots (1 point). Dinner was tilapia, quinoa, more (and different) veggies and more Trader Joe's Thai red curry sauce (eight points). Obsessed much? Perhaps. I had a few points left today, so I'm currently enjoying a giant mug of vanilla cinnamon tea and TJ's dark chocolate wedges (two points). I'm not quite sure why all of my meals include something from Trader Joe's right now. We don't actually go there all that often, but I'm reaching the end of this Thai sauce, so I'll be going there more often now. The points that are missing here were consumed via almond milk and sugar-free creamer in my coffee today. I thought you looked overdressed when I saw that pic on FB! Ugh. I hate all the wasted laundry. I was doing laundry 2x a week during the streak. Good job on speedwork! Congrats on being selected to be an ambassador! Do you plan to post all of your meals while on WW? Congrats on being selected as as a "muddy ambassador"!!! I sorta got an email about that, too. However, it was really unclear about what my responsibilities were? Also, I should figure out if I'll be continuing the blog at that point... whoops! @Kim, I'll only keep up with the meals for as long as is feasible. Things will get boring fast because I tend to make the same meals to use up ingredients. @Amy, I got an e-mail and followed up, so they sent me my duties. I hope you keep blogging! Thanks for the heads up! Seeing other people's eats is really triggering for comparison purposes for me so I will remember that! Like it a good way or a bad way? In a bad way ;) I eat a lot more than most people, so I try to avoid reading what other people eat (like for a whole day, not certain meals) because it makes me feel bad. Maybe it should? Ha! Got it. Maybe I'll save them for a one post a week? I think if it helps you post it every day, you should! And most people probably don't have this comparison issue (this is the only one I have - nothing else every bothers me, just amount of food in a day, lol). Pretty sure I'm going to run out of clean sports bras before I get around to doing laundry again. Guess I'll have to start re-wearing some of them. Also, I'm beginning to rethink my dedication to running during the winter. 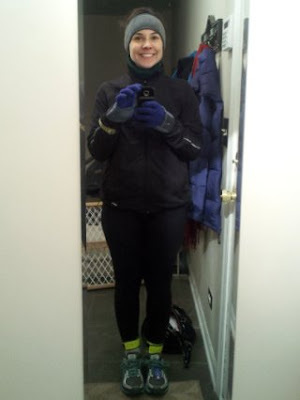 I think a better approach is to use this time just for base mileage (easy miles when it's not too freezing or icy) and use this cold weather as an excuse to work on strength training and swimming, and try all those classes at the gym that I keep telling myself I should check out. Registering for a half marathon in January? Sounded awesome in a badass way when I registered, but I'm really starting to rethink if it was a good idea. I'm ready to just pack it up and do all indoor workouts. I think the darkness is really doing me in.